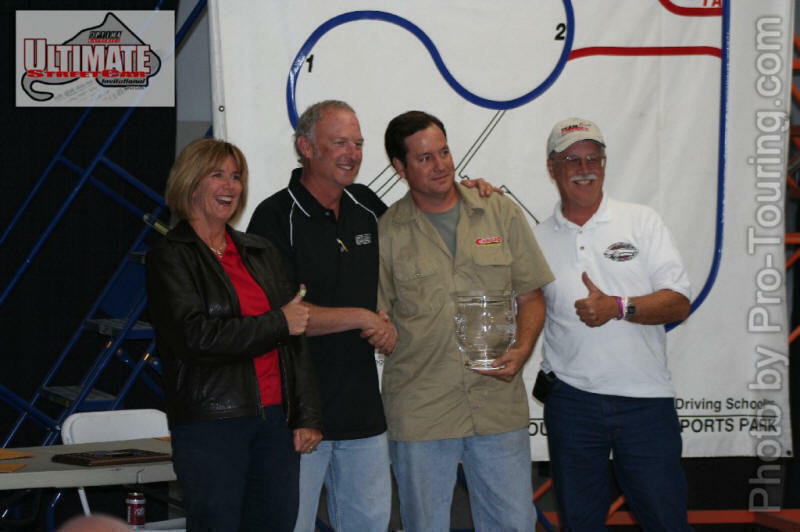 STEVE RUPP, DAVID AND MARY POZZI WIN THE INAUGURAL OPTIMA BATTERIES ULTIMATE STREET CAR CHALLENGE !!!! STEVE RUPP OWNER OF THE 68 CAMARO WE DROVE NAMED "BAD PENNY"
Penny has a 400 ci "LS2" engine, corvette front suspension, Lateral Dynamics 3 link rear suspension and Willwood 6 piston manual brakes. The event will be featued in Hot Rod Magazine and Camaro Performers March 2008 issues. Here is a page on Steve's Camaro "Bad Penny"
In-Car video of David driving "Bad Penny" at Spring Mountain race track.